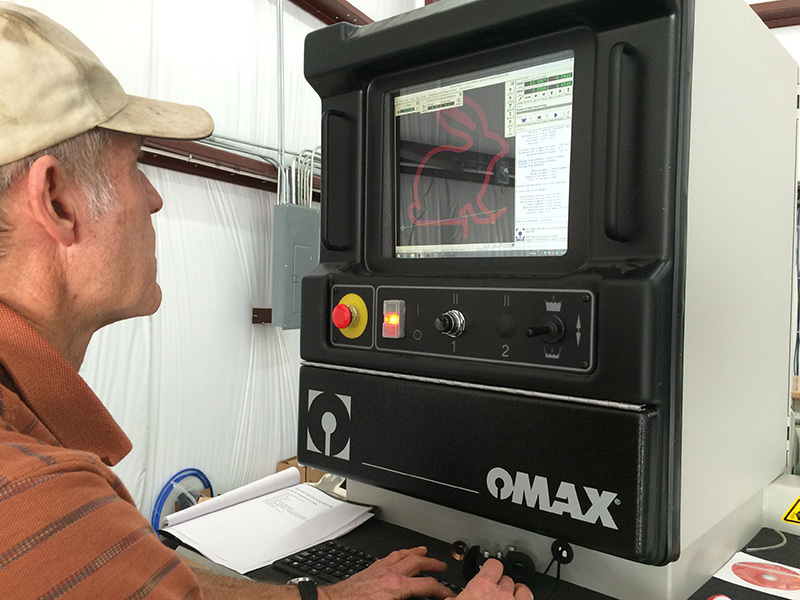 SWIFT HORSE’s OMAX JetMachining Center is fast and accurate, ideal for a wide range of machining needs. Our water jet table can cut stock up to 5 feet by 10 feet and materials up to 6 inches thick. For increased versatility, we use the A-Jet for taper-free edges and the ability to bevel up to 59 degrees. Our high-precision productivity provides accurate cutting capabilities within .005 of an inch, and repeatability within .002 of an inch. The computer-operated high-pressure water and abrasive machining tool can produce one or as many duplicate pieces needed in an endless variety of applications, from simple to complex. Using your CAD files, hand-drawn guides, a picture, or an existing model, we can create custom designs/cuts in your material of choice. The advanced programming capabilities offer quick setup and the ability to make changes throughout the process easily. EFFICIENCY: Environmentally “green” system with low electrical consumption, without the use of gases, oils or solvents. Just water. See Our Water Jet in Action! Browse our photos of some of the custom projects we’ve been working on right here in our shop in Fredericksburg, Texas. From decorative home decor and personalized metal entrance gate art, to custom machine parts, unique granite inlay lazy susans, our state of the art water jet is making precise cuts across the Texas Hill Country for our customers.